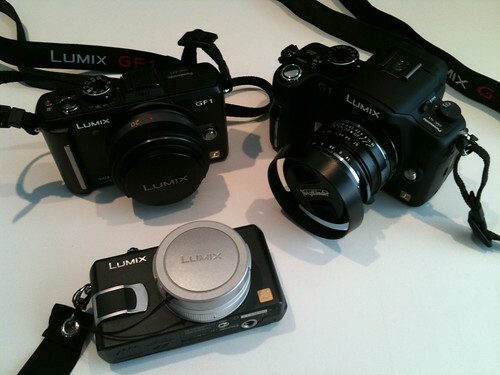 Lumix family, originally uploaded by EVIL LIVE. I have always been a fan of Lumix ever since the DMC-LX-1, finally picked up the GF-1 today with the pancake lens. Time for some HD home Movies!! !